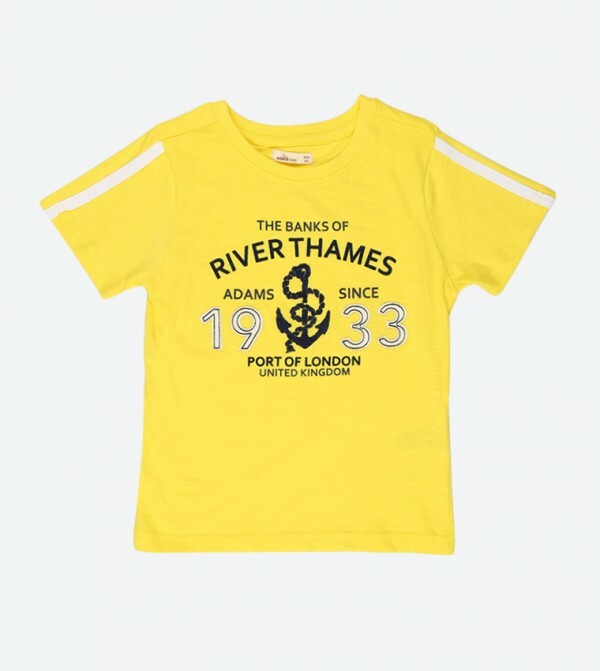 Stylish is what your little boy will look wearing this yellow colored T-shirt from Adams Kids. This regular fit T-shirt will keep him comfortable all day long, courtesy its cotton fabric. Featuring a print on the front, this T-shirt will go well with jeans and sneakers.